Making your own vanilla extract is very simple, easy, and makes a noticeable difference in your recipes. 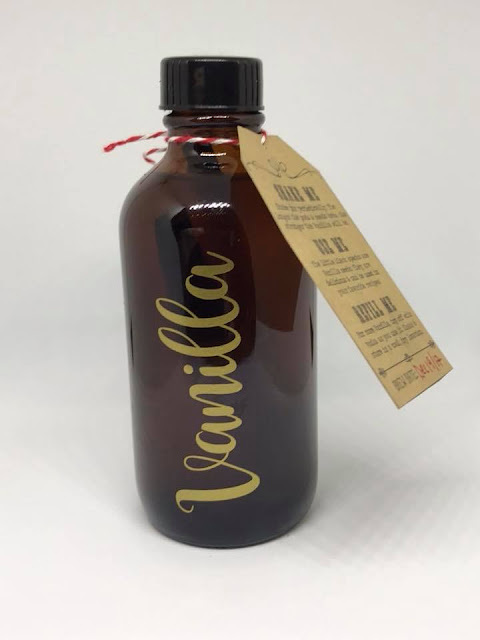 All you need are vanilla beans, vodka, bottles, and if you want to gift your vanilla extract, you may want a pretty, decorative label to make it extra special. 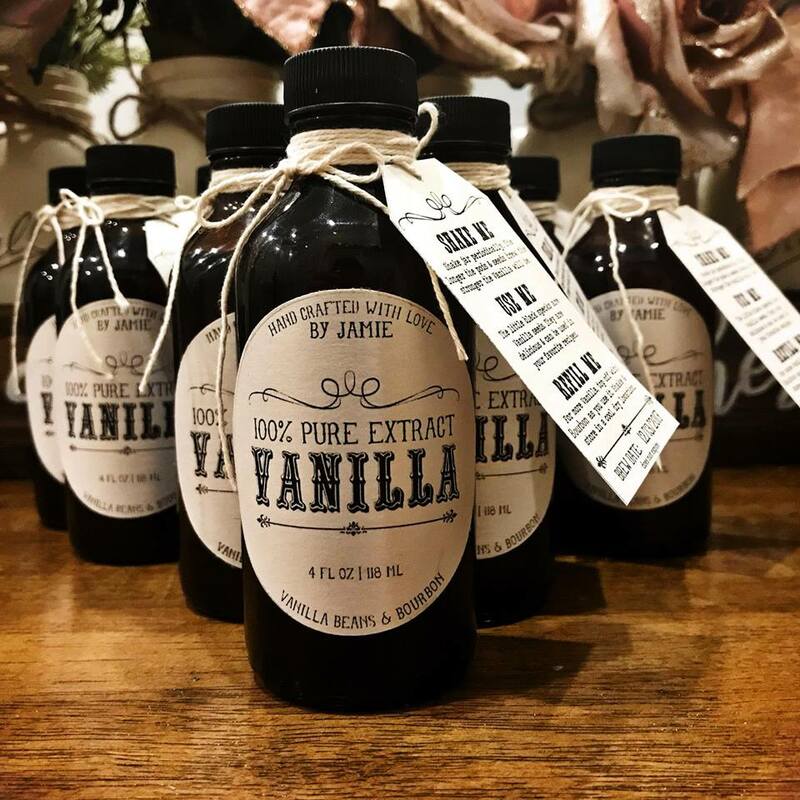 You can view this post to see all the pretty ways folks have bottled and packaged their homemade vanilla extract. You can use the traditional cold extraction method of putting your vanilla beans in your bottle of vodka, and shaking it weekly for 4 months, or use a much quicker method of heat extraction, using an electric pressure cooker, enabling your extract to be ready in as little as 2 weeks. A trip to Costco, which has low prices for many things, had me glancing over at their vanilla extract in the baking aisle. $34.99 for 16 oz. Yikes! It can be overwhelming, to say the least, to shop for vanilla beans! The cost of pure vanilla extract has nearly tripled over the last couple of years, due to storms and demand vs supply. You want to make sure you have the highest quality vanilla beans and at the best price. Let's use the Costco price as our cost basis for making vanilla extract. In my experience, it is more economical to purchase vanilla beans in larger quantities and use a large bottle of vodka or clear rum. For a more, in depth cost analysis, you can check my vanilla extract post from 2017 here. The lowest price for Madagascar vanilla beans, according to the spreadsheet below, is from Ebay and includes free shipping from France. These are 5" in length, grade B, and the seller has positive feedback. Since it may take up to 2.5 weeks for the beans to arrive, I may choose another seller. You will also need to consider the cost of your bottles, should you choose to put your extract in smaller bottles, but for now, you can put your extract back into your vodka bottle, since it is sterilized and ready to use. Let's try another vanilla bean company, Beanilla, a reputable company that sells a variety of vanilla beans. At the moment, they have a 5% off discount email code and free shipping in the USA. Let's look at their grade B Madagascar beans for $37.95. 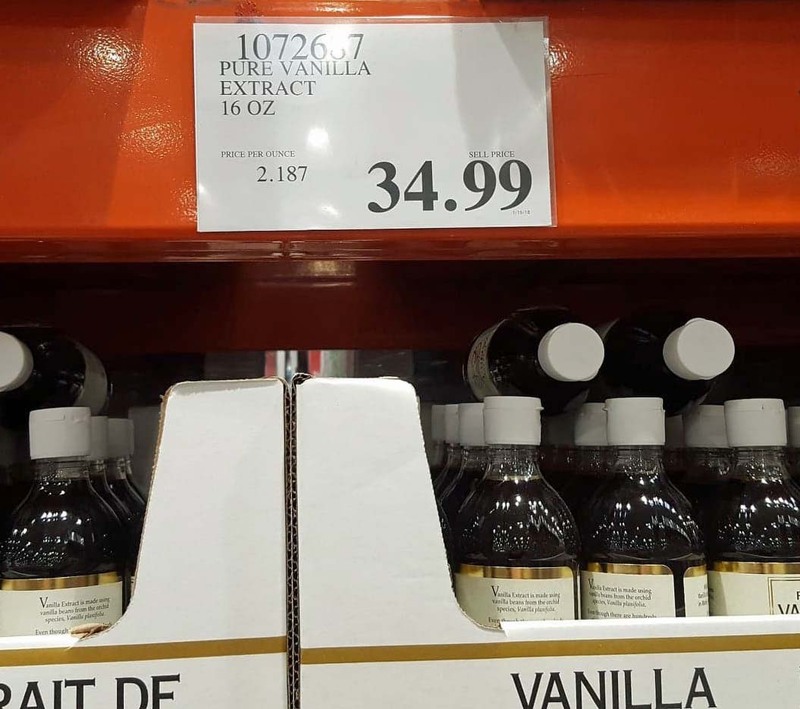 In order to more closely match the price of Costco's vanilla, you would need to pay $11 per bean, using the cost of vodka at $11.49. Now that we have established that it is more economical to make your own vanilla extract, let's talk about how to choose a vanilla bean and which company/seller to purchase from. There are 2 grades of vanilla beans. Grade A vanilla beans are culinary grade, are moist, dark, plump and are often split, scraped, and the 'caviar' (seeds and pulp) are used in recipes from baking to cooking. They are fine to use in making vanilla extract. Grade B vanilla beans are often called "extract grade," and are not used in culinary recipes, but for making vanilla extract. They are drier, and sometimes cannot be split down the length of the bean to scrape out the caviar. Instead, you will want to cut these dry beans into 1"-2" pieces for your extract. There are several types of vanilla beans, each producing their own aroma and flavor. Madagascar, also known as Bourbon vanilla beans are the most common and what you may be more familiar with. The flavors can vary from rich, creamy, floral, to bold and cherry-chocolate flavor. Grade A vanilla beans are typically 6"-8" in length. They should be dark, plump, and pliable. Grade B vanilla beans are drier, can be split or cracked. They are often shorter, but look for the longest beans you can find. You can find vanilla beans in your grocery market, often in the spice or baking aisle. You may only find them in packages of 2 or 3 beans and they can cost much more than purchasing vanilla beans in groups of 10 online. Some local bakeries may have vanilla beans for sale. When purchasing vanilla beans online, you will want to first look at the reviews. Look for reviews that say their vanilla beans arrived on time, and in good condition. Check for any shipping charges and factor that into your overall cost. Some companies offer a discount for first time buyers. 1-2 vanilla beans per cup of vodka is the ratio that I use for the pressure cook method. If you are planning to use the cold extraction method, you may need to use as many as 6 beans per cup. It really depends on the length, quality of the vanilla bean, and how strong you want your vanilla to be. Some bakers double the strength of their vanilla extract by doubling the number of the beans per cup of liquor. If you make a double strength, you will increase the cost of your vanilla extract, but you can also use half as much in your recipes. I hope you find this information informative and helpful as you decide to make your vanilla extract. If you have any favorite sources that you want me to add to this list, let me know and I'll be happy to include the information. I'll keep this list updated as I see the prices change.